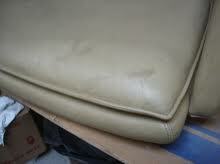 Here are just a few of the services we provide to care for your leather. 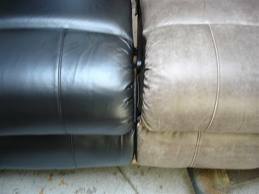 Because of our superior color matching skills we can remove worn out leather sections and sew in new leather that will be color matched to the rest of the piece at a fraction of cost of replacing an entire set with new leather. 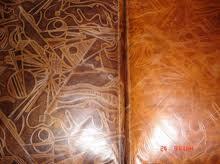 Ink is a dye and is almost immediatly absorbed into the color coat of the leather. 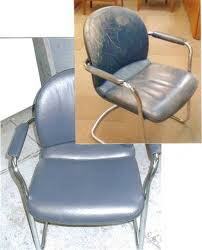 We remove the ink and the color coat, then air brush in a new color coat. Some times a piece is delivered with the wrong color and/ or finish. 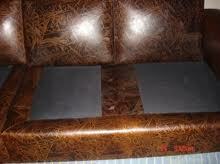 Our technicians change the look and the color to please the customers taste. 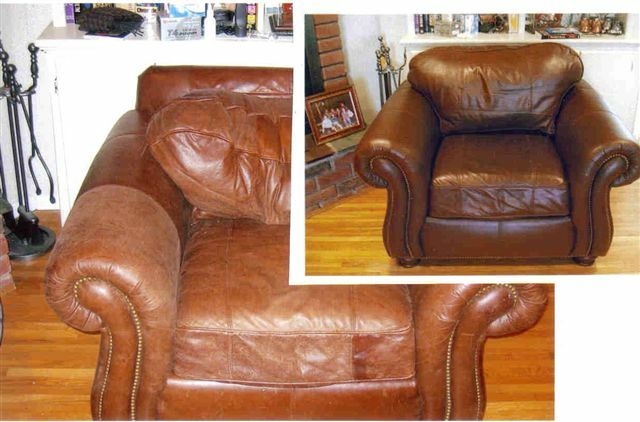 Very old furniture gets an entire new lease on life based on our expertise in reconditioning old leather and making it all look new and feel like new again. 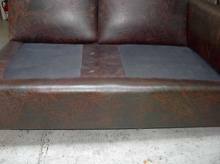 Our services to the Corporate Aircraft industry allows us to restore dried out leather to a like new look and giving our customer the choice of replacing their leather at an exorbitant cost or living with ugly leather or restoring the leather to look and feel like new. 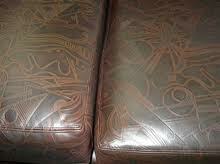 Custom made embossed leather, faded and stained after years of use. Made the color uniform without loosing the embossed (lighter) color. 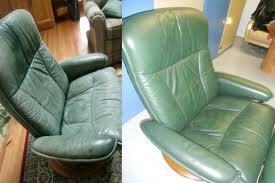 Reconditioned faded and stained leather seat with a new color coat for a small yacht. 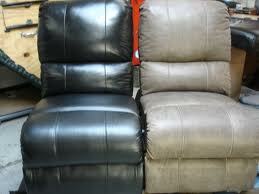 Brand new leather theater seating. 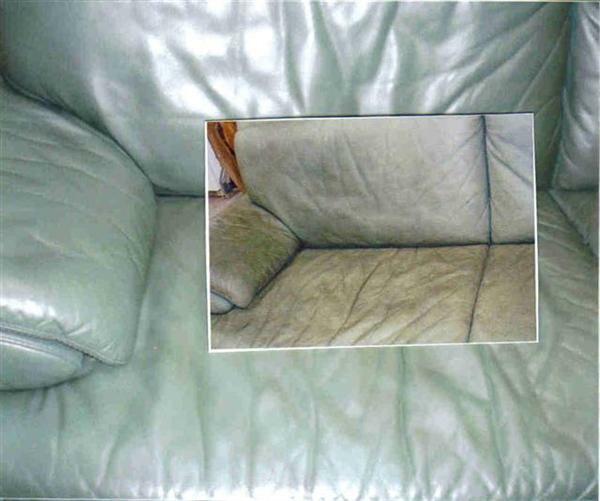 Wrong color was ordered. 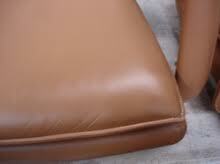 Recolored without loosing the feel of new leather. 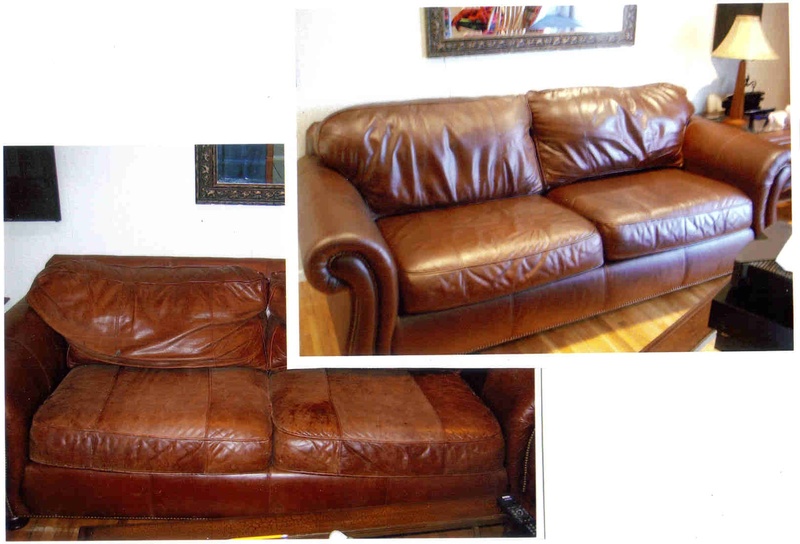 Make your own before and after photos with our amazing line of leather care products shown below!